Ben is a product designer with a passion for creating solutions to unique problems. 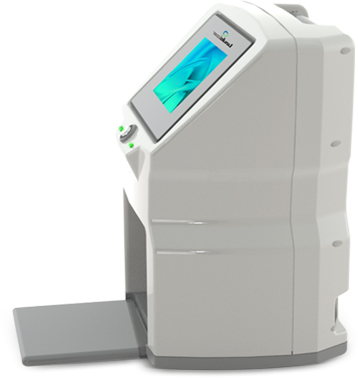 Ben was captivated by the laser technology which solves nail fungus and enjoys discovering ways to improve the Clear Nail Laser business with his team. Ben has two young boys and enjoys playing the role of goalie as they pepper him with their best shots - he also loves cycling (and lycra). Karl is a experienced general manager with extensive knowledge of the medical and cosmetic sector. Karl comes to clear nail laser clinics after working with one of the largest hair restoration companies in the world and is very keen on growing clear nail laser clinic brand throughout Australia, New Zealand and the globe. Karl's passion is to provide an exceptional client service experience and desired outcome for all of our clients. Karl is a very proud family man, a washed up basketball player and aspiring golfer. Gayle is a qualified and experienced dermal clinician with a degree in Health Science (Dermal Science). Gayle is a bit of a nature junkie and loves hiking or trail walking. To relax, she writes poetry or watches horror movies! Gayle loves meeting people from all walks of life and professionally, working with clients to overcome their nail infection and achieving healthy nails. Michelle is an experienced, customer focused dermal clinician at our brand new Sydney clinic. She loves hanging out with her dog Nacho and spending Friday & Saturday nights at home watching movies or reality TV. She's also very passionate about lots of pineapple on pizza! At the clinic Michelle loves the challenge of clearing client's nails. Alicia’s background is in Aesthetics with international certificates in beauty therapy. Alicia thrives on restoring confidence in men and women through their appearance. Alicia loves family, fashion, cuticle care and a good yoga session. Shini is a qualified and experienced dermal clinician with a bachelor degree in Health Science (Dermal Therapy). Shini has been in the skin and health industry for over 8 years. Shini is passionate about helping others and finding effective solutions to help achieve results. Shini is fluent in English, Mandarin, Taiwanese and enjoys yoga and Pilates classes. Monica is a fully qualified podiatrist with extensive experience in nail fungus and podiatry treatments more broadly. Monica is a keen traveller who loves learning about different cultures and meeting people. She's passionate about educating clients and leveraging the latest technology to help them on their journey to clear nails. Mercy is a fully qualified podiatrist with deep experience in treating nail fungus. Mercy enjoys the great outdoors including nature, hiking and rock climbing. She loves helping clients along their journey to clearing their nails. Alysha is a Qualified Beauty Therapist specialising in Skin disorders and currently studying a degree in Health Science (Dermal Science). If she’s not curled up with a good book, you will find Alysha enjoying the sunshine down the beach. Alysha loves a challenge and having the ability to achieve clear nails. Brendon, comes from a strong customer service background. He is passionate about problem solving and is happy to lend an ear to find out how he can best help in any situation. Brendon strives to be the best version of himself and focuses a lot of time on making sure he stays healthy and fit. He loves to walk and loves his home city of Melbourne. Georgina, is a very experienced nurse and beauty therapist. Predominantly working in a cosmetic and reconstructive practice she has experience in many medical fields. Georgina’s professional yet calming and reassuring nature will assist you through your treatment plan. She is passionate about to helping all of her clients reach a fantastic result. Tanisha is a qualified Beauty Therapist and is currently studying to complete her diploma of nursing. Tanisha loves both the cosmetic and clinical side of nursing and is excited to assist individuals in obtaining a positive and rewarding experience in health and well being. Outside of studying Tanisha spends time at her local Gym Or in the company of her family and friends discovering the best local spots for dining. Tanisha is looking forward to starting her journey developing and implementing the latest health and well being treatments to create optimum care for her clients. Lisa, is an experienced beauty therapist with a passion for customer service. She’s dedicated to providing her clients with the best personalised service. Her typical weekends consist of running (slowly) with her Husky, Zeus if he’s not too busy trying to eat the laundry.